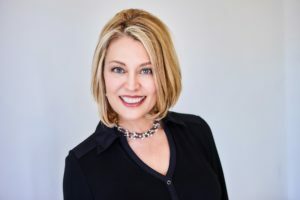 Keynote speaker Colette Carlson delivers power-packed presentations on the importance of connection in communication, leadership, sales, customer service, and professional and personal wellness. The most successful businesses grow from, and are sustained by, mutually-beneficial relationships. Your success is in direct proportion to your ability to connect with others. Many people communicate, yet few truly connect. In her recent article, 3 Investments You Must Make to Stay Connected, Colette explains the importance of consistent learning and said, “Consistent learning demands an investment of time, money, and energy, but the price paid pales in comparison to the abundant returns in awareness, understanding, and the development of richer connections to people, places, and ideas.” She provides three connection areas that receive the greatest return both on and off the job. If you can’t remember the last time you invested your time in learning something new, now is the time to begin. Effective leaders know intentional learning is required for growth, success, and the development of deeper connections. Colette teaches audiences how to transform relationships through the power of connected conversation. Her programs are so personalized, attendees often assume Colette is one of them. She has the outstanding ability to connect through engaging content and laugh-out-loud humor. The top leadership to the front-line employees, Colette’s messages effect every audience member at every meeting, regardless of size or industry. To bring Colette to your next meeting or event, contact Michelle Joyce. Don’t forget to check back every Friday for additional featured speakers.